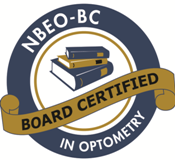 Our staff will help you find the best fit for your specific needs and explain how different lenses and frames will impact your vision. Our Camp Pendleton opticians will help you narrow down your choices so you can find the look, fit and functionality you want from your eyewear. Our optometry practice at Camp Pendleton offer a one of the largest selections of eyeglasses, contact lenses and designer frames and sunglasses around Oceanside, Carlsbad, Vista and Dana Point, CA. We carry the latest European and American designer eyewear collections in a variety of styles, colors and materials including titanium, stainless steel and plastic. Our optometry practice at Camp Pendleton, CA offers a wide range of contact lenses to fit your needs including contact lens exams and fittings. 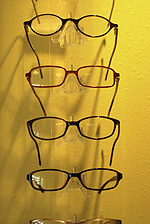 Eyeglasses are more popular today than ever, despite the availability of contact lenses and vision correction surgery. If you are considering purchasing eyeglasses online, please read the following article by the American Optometric Association: A Closer Look at Ordering Eyeglasses Online.